The Year of the Pig is bringing with it a delightful surprise – prosperity. That’s because the wealth star is moving in as the reigning star for the year. With a delightful pair of the prosperity star and the pig, often symbolized as a bank, are coming together in 2019 to bring us opportunity, prosperity, and good fortune. The eight star is a star that represents ease of making money with flowing opportunities and chances to make more money. Opportunities come….but will you let them go? Regardless of your zodiac sign, the year brings with it a chance to act on opportunities. Like the proverbial brass ring, this is the year that opportunity will find you but you must act, but take action in a calculated way. Avoid rushing this year into anything, but don’t let the opportunities that do come to you slip through your fingers. You’ll find that if you keep up your efforts in a measured way, they’ll pay off in the year ahead. All years bring with them some kind of problem, there’s no getting around that. One worry on the horizon is health and relationships. Let start with relationships. There is a difficult energy around the love sector this year that can cause breakups and challenge even the most solid relationships. That makes it especially important to work on your relationships with your family, your love interest, spouse or partner. If you think you’d benefit by getting relationship counseling, then go ahead and start that. It could save a marriage or your relationship. For men, there is a wonderful energy that brings opportunities to make money now and in the future. This is the year men must look toward the future for ways they can increase their income. The year will support their endeavors. The dark cloud dotting the sky is men’s health, particularly for older men. Younger men can manage the fire energy headed their way more easily but as a man ages, it becomes harder to handle. This year, men will want to pay close attention to their health, particularly around their eyes, heart, blood pressure, and anything dealing with blood, such as clots or stroke worries. Men over 40 will want to be especially watchful – and see a doctor if there’s any concern. For women, there is also a concern around health. If you take good care of yourself and keep up with your regular medical appointments, you’ll do fine. It’s vital that you also pay close attention to any physical, financial or relationship issues this year. And although women host a difficult energy, it’s important to remember that this energy is one that can bring important changes. Your life may change in a significant way, and honoring your needs and what’s important to you and you alone is a big part of a transformation that could occur if you honor what matters most to you. It’s vital that you think about yourself and your life in a bigger way. In some ways, I believe that 2019 can be a woman’s year. The number 8, the reigning number is the shape of a woman. It also represents thought. Women who take their needs into account and do it in a thoughtful way will come out ahead, feel renewed at the end of 2019, if not altogether transformed. 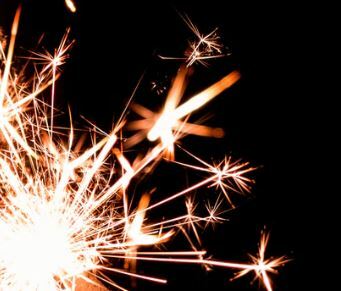 There’s an image I want everyone to think of this year – an image of a spark. Like the horrific fires in California in November 2018, it was a simple spark. This year the spark could be an inkling or talk around the water cooler about your job that a pink slip’s coming, a funny bump on your arm that needs to be checked out, a suspicion about your bank or investment accounts. Or, it’s that spark of an idea or a problem that you should heed and pay close attention to – whether something that’s helpful or something that might be harmful. Just keep tabs on the important things this year and all will be well! Avoid doing anything too risky with money or health and safety and the Pig will be a wonderful year. Love gets a boost with the Year of the Pig. The love star moves to a favorable position and helps you find love at work or while on business. 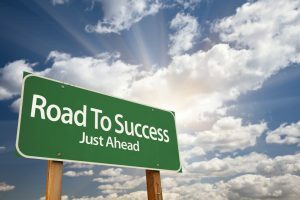 The income and opportunity star moves into the west, bringing opportunities from that direction to help you make more money. The blessings star moves east and offers families blessings, windfalls and assistance from important people. The houses with the best luck this year? West and east homes, northwest, north, and those whose doors enter in the middle of the house, often seen in L-shaped houses. There’s also some terrific perks for northeast and southwest houses that could find blessings and good fortune coming in spades. Zodiac signs that have great luck in 2019? Rabbits, rats, roosters, dogs, and pigs all have a great year coming at them. But here’s the better news still….is that we ALL get to enjoy the 8 Prosperity Star in the center sector for it will bring benefits and good fortune to all homes, and to everyone in them. That’s the best news that 2019 has to offer! When can you expect to see the changes? December is when the shift begins in earnest from the 2018 energies to the 2019 energies. However, the old energies of 2018 could become stronger as they leave. This often happens during the year and each month as the energies move in and out of their positions. So, be on the watch for those. If you bought my Success Pack last year and my most recent one for 2019, you’ll be prepared for all these coming shifts. Everyone will enjoy the glow of the Prosperity Star in 2019 because it moves to the center! Men enjoy popularity and recognition, but they should watch their health particularly with the heart, eyes and blood. Women can make inroads in becoming who they are meant to be, but must watch out for themselves with regard to money, job, and most importantly, health. Families will benefit from working together and joining forces, traveling to distant locales and spending time near water. Watch your assets and investments this year. Get all investment promises in writing. Watch your financial and savings accounts closely for fraud or loss. Love can come from places around water, at work or anything to do with business or travel on the job. Think positively about the year ahead and add a happy looking pig to your home! They’re smiling, happy energy is a benefit to the whole house, especially when placed in the north-northwest of the home. For more explanation and detail, listen in to the 2019 Year of the Pig Overview on Red Lotus Radio. Want to know more about 2019 and your home and zodiac sign? 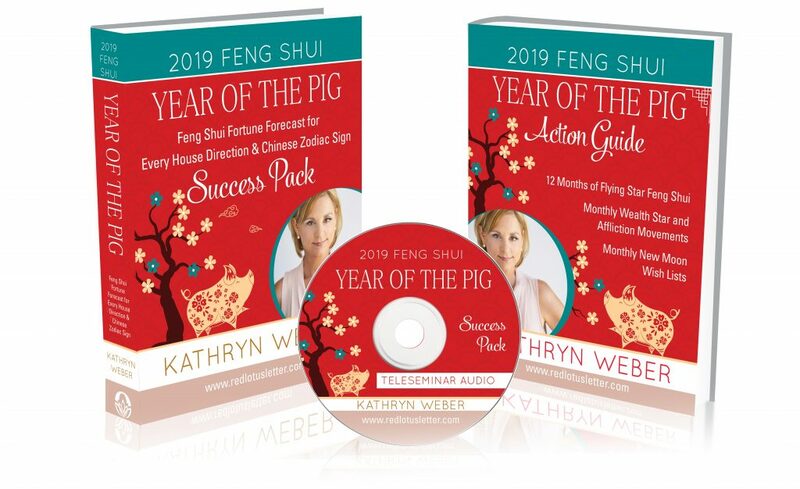 The 2019 Year of the Pig Forecast Success Pack Outlines All You Need to Know For Love, Health, Money and Career for the Coming Year.